I’ve been considering for a few weeks what to write to welcome Rome’s new city administration. It would be presumptuous to offer expert advice unless requested (never stopped me before), but every time I look at the city I think of problems, projects, and priorities. To quote a university president with whom I met the other day, if you have twenty priorities you have no priorities. Now that the Mayor has defined her staff, ten motivated professionals ready to get to work, I’ve decided to humbly suggest one priority for each, hoping that my “immigrant” point of view with twenty-five years of experience working on civic design issues may be of interest and even of use. Sindaco Virginia Raggi’s priority should be to mediate between the people and her staff, to assure that, on the one, hand the voice of the people reaches the right ears and, on the other, that the work of her staff is communicated to her constituency. This can be done quite easily (and the Movimento 5 Stelle has vast experience with this) with a range of social media tools, direct emails, and public assemblies, with no need for traditional media like newspapers or television. If a citizen has an idea or makes an observation, she should be able to communicate it in minutes to the city and receive a timely response. As Vice-Sindaco I image Mr. Frongia will have his hands full assisting the Mayor, but in terms of Quality of Life, Accessibility and Sport, I think the priority should be to make it safe and pleasant to walk or bike in Rome again. This city has fallen into the ironic trap of most American communities, where people drive their cars to the gym to work out, or simply drive because they are scared to walk. In America in recent years younger people have been abandoning car ownership, saving money and living healthier lives. 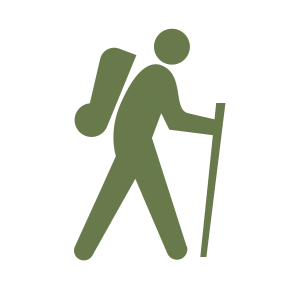 In my opinion, Mr. Frongia should launch a campaign to make daily life in the city a healthy activity for all citizens, not just an extreme survival sport for the brave few. Money is key to any city’s administration, and Mr. Minenna’s job is to ensure “accountability”, a concept for which there isn’t even a word in the Italian language. This means collecting debts, leveraging assets and thinking creatively of new sources of revenue. The lost opportunities are heartbreaking: uncollected fines for millions of traffic violations, underutilized public property, mismanaged funds, and red tape which scares away foreign investment. I tried to facilitate a meeting between a foreign donor and Mr. Minenna’s predecessor a few years back and the office didn’t even return my calls. So, Mr. Minenna, please finish the job begun by the Marino administration, get the accounts in order, however many 16-hour days it takes, and then publish the results online where everyone can see the city’s books. 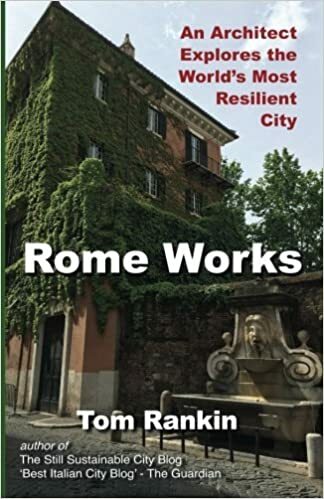 I have read with great interest Mr. Berdini’s writings for years, and share his goal of quelling the rampant and often corrupt real-estate development that has marred Rome for decades. But his job now is to direct growth, not just block it. I don’t know what happened to the job title but when Giovanni Caudo, another respectable urbanist, held the role until last year it focused on “urban regeneration”. This should be Mr. Berdini’s number one priority, to continue Caudo’s mission to locate those underutilized or abandoned pockets of property which give Rome the quality of swiss cheese, to render it not just possible but convenient (using a combination of incentives and regulation) for private entrepreneurs to give these properties back to the city as innovative developments or green spaces. Laura Baldassarre, assessore al Sociale (Assessorato alla Persona, Scuola e Comunità solidale) Ms. Baldassarre’s underlying priority must be integration; Rome has always been a multi-cultural capital and it has immense human resources going to waste or worse, under attack. The first job is a census of the marginalized, but an “operational census” where situations which are unacceptable are not just noted but resolved on the spot. A child found begging on the street or a family living in a trailer must be treated as emergencies to be solved within hours, not years. Luca Bergamo, assessore alla Cultura (Assessorato alla Crescita culturale). I like the term “cultural growth” and like to think this doesn’t mean an increase in cultural venues and events (Rome already has plenty) but increased access to and benefit from the culture which already crowds the city. Culture must thrive, not just struggle to survive. The priority should be to manage it better; each museum or monument should have one clear Director held accountable for operations, for hiring and firing personnel, for fundraising and marketing. Once this is working, we can simplify procedures for new cultural proposals. Here I’m going to break my own rule that limited me to a single priority; several priorities must be addressed simultaneously for mobility to break out of the dysfunctional loop it has been in for years. Eliminate free parking. Enforcing the rules on the books to penalize drivers who park illegally can start today (what are you waiting for?) would make the option of driving in Rome much less attractive. Then more gradually, eliminate the legal free parking zones and raise the fees on the paid parking, the only choice left for those who insist on using cars in the city center. Hold ATAC responsible for its schedules. If a bus or metro doesn’t leave the capolinea on schedule someone must pay a price, from the driver on up to the CEO. Once the existing schedule works, look at rationalizing it. By eliminating many cars from the city streets, the first two priorities already make Rome a much more bike and pedestrian friendly city. To complete the emergency job in the next month, get some good white paint and use it to create a. pedestrian zebra-stripe crossings, lots of them, especially where they have been eliminated in recent months, and b. bike lanes, narrowing too-wide streets, or inserting them where illegal cars have been removed, everywhere (the biking associations will help you). These are pretty big jobs and require some investment, so starting to enforce the traffic laws seems a no-brainer. Making motorists pay for their dangerous and illegal behavior will bring in the cash needed short-term and eliminate the problem long term. I don’t know if Ms. Mileo has the authority to compel the police to do their job, but I assume Mayor Raggi does. The question comes to mind, why is tourism severed from culture to be relegated with commerce, but as long as the team plays together it isn’t important. Rome needs to move in the direction of more civilized capitals, supporting activities which follow the rules, pay taxes and help preserve tradition of promote innovation. The priority should be to simultaneously break monopolies and enforce regulations. It should be easy to open a business within the law and impossible to run a business outside the law. To ensure this, the rules must be made clear and enforcement must be immediate and ruthless. It would be fantastic to see on the Assessore’s website a very clear regolamento and to never see a violation of these rules in the city. Like with mobility, existing (rampant) violations provide a much-needed temporary source of revenues to fund the department’s work. It’s very hard to pinpoint one priority, as Rome is losing many battles: waste management, air quality, water quality, all are suffering. But in the same way Marino chose one symbolic priority in Via dei Fori Imperiali, I’m going to suggest that Ms. Murano focus on Rome’s forgotten resource, the Tiber, which has been much in the news of late for good (Tevereterno’s Triumphs and Laments by William Kentridge) and bad (cheap commerce, homeless and homicides). There are pragmatic projects ready to be examined which could eliminate the flooding, clean the water and render the river again navigable to become a river park in the heart of Rome. The river would be a good start in the re-greening of Rome. Flavia Marzano, Commissioner for Simplification (Assessorato Roma semplice). I’m not sure what to say about this somewhat Orwellian concept of “Simplification”. Like the Assessorato of “legality” (which seems to have disappeared) this should be the underlying goal for everyone in the administration. Should we have a commissioner of Honesty and a commissioner of Niceness or Punctuality? I’m in favor of granting Ms. Marzano or the Mayor herself one special delega, that of accountability, to ensure that this great staff get the job done or pay the price for failing. Fabulous priorities, at least as viewed by this ex-pat. Enforcing existing laws would be a good start and source of revenues. Tom – This is great! Hope they listen. Be back in italy Aug 31-Sept 11, but mostly at the casale. Will try to call. Bari and Bike Newport doing very well.